We love this major Design Pickle productivity hack! 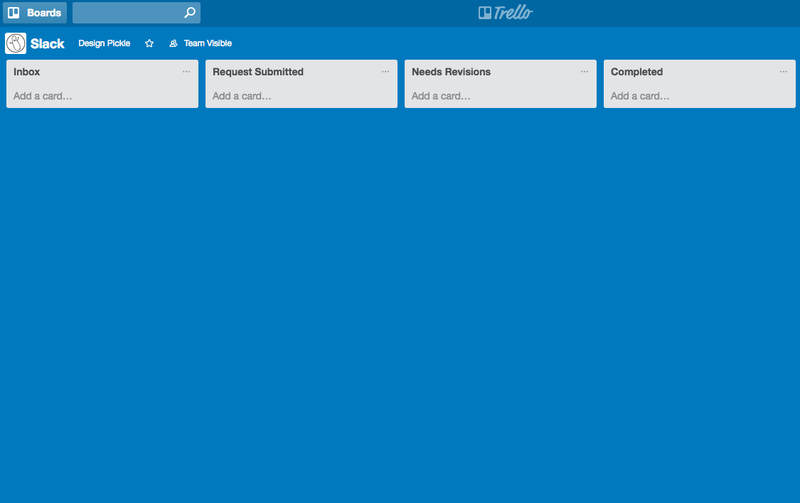 Our favorite project management app Trello has been a secret weapon for many Design Pickle users. 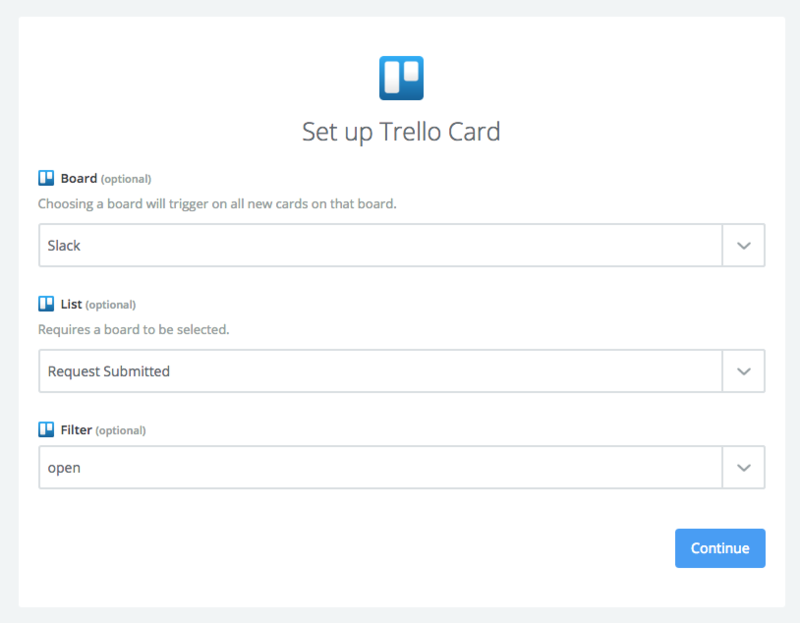 We decided to create a guide to help get people started with using Trello and our unlimited graphic design service. 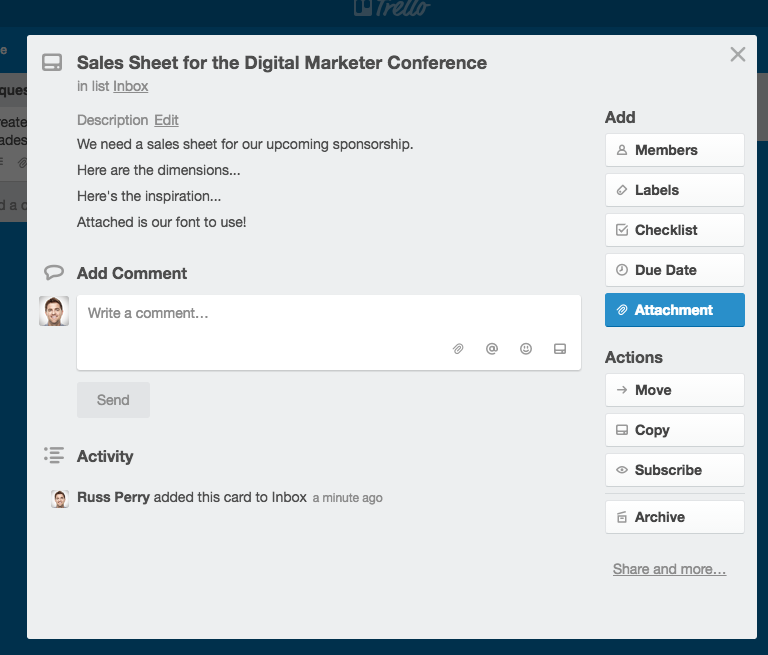 This takes a bit of knowhow with Trello and Zapier, but nothing too complicated, we promise! Ready to get started? Let's get pickling! 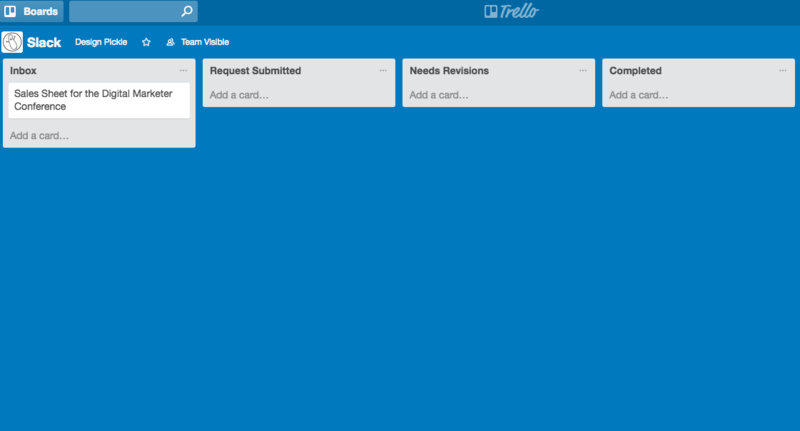 One reason Trello is our project/organizational tool of choice is its blank canvas simplicity. You can create any type of workflow in a snap. Did we mention the tool is free? Inbox- The list for preparing your request cards. Here you'll add in all the details, attachments and inspiration your designer will need for your request. Request Submitted- The list to which you'll move request cards when ready to actually submit the request to your designer. Needs Revisions - The list to which you'll move request cards when revisions are needed. Completed- The list for completed requests. Zapier is where all the magic happens. 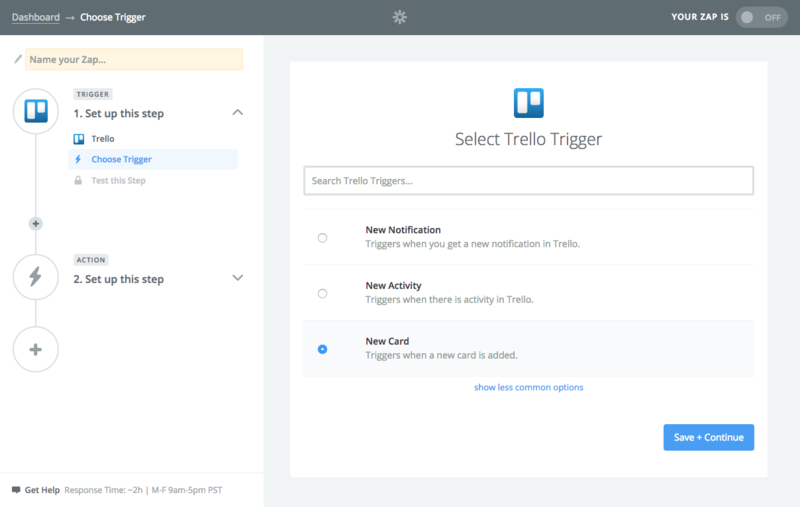 By syncing your Design Pickle email and the Trello board from Part 1 you can auto-magically submit design requests right from Trello. The only catch here is your email needs to be powered by Gmail. Choose the list "Request Submitted"
Go back to Trello and create a test card in your "Request Submitted" column. Make sure you add a title and description to the card.You're also welcome to add an attachment if you would like. This will make sure you pass the sync test. If you skip this step, just make sure you're a Zapier pro and have it connected right. 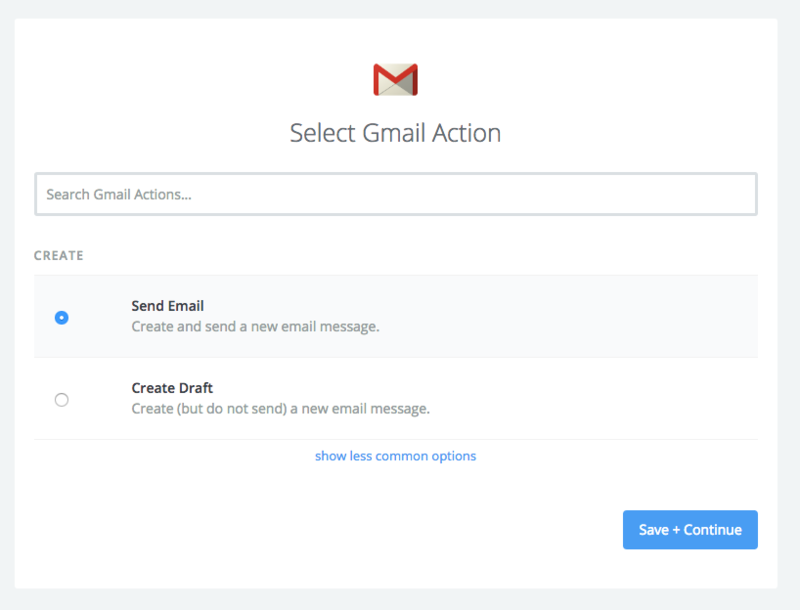 Step 4: Setup your action as Gmail to "Send Email"
The important part here is to make sure your Zapier Gmail account is the same email you're using with Design Pickle. 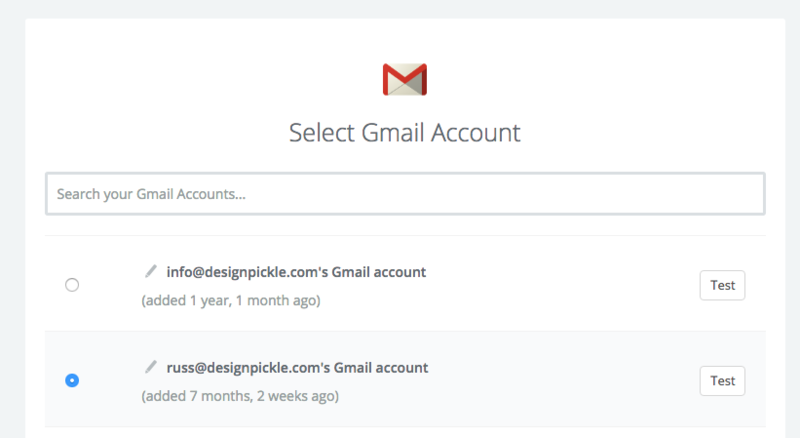 If it's not, either a) connect the right Gmail account to Zapier or b) change your email settings in Design Pickle. 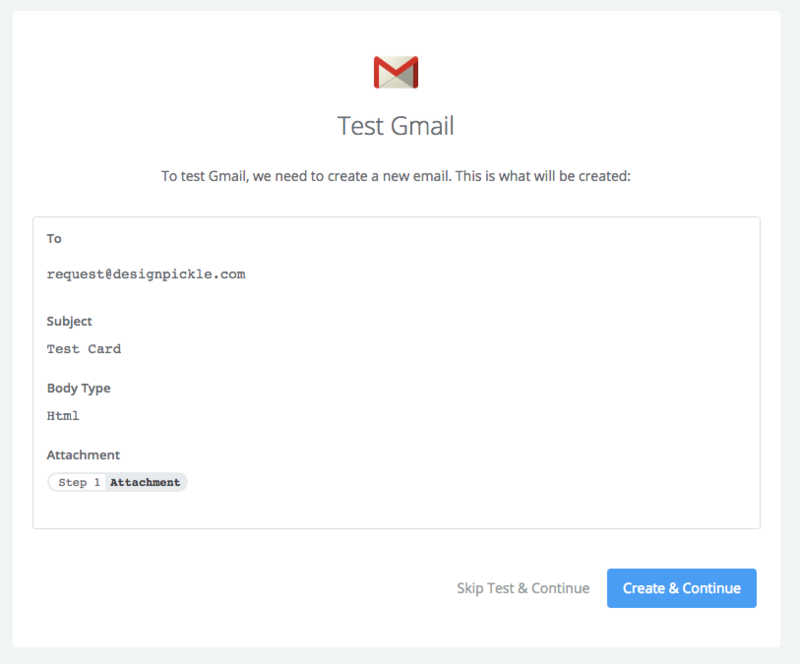 Your test should successfully submit an email to Design Pickle and you'll shortly receive a confirmation message from our system. Please let your designer know that was just a Trello test! Step 8: Name and turn on your ZAP! Now that your Trello board is setup to trigger emails into Design Pickle, head over to Trello and create a new request in the Inboxlist. Think of your Inboxas the holding bucket for your requests to gather all information and assets beforeyou submit your request. Add in all of your request details (dimensions, target audience, copy, links to inspiration, etc) in the Description field and make sure to hit SAVE. 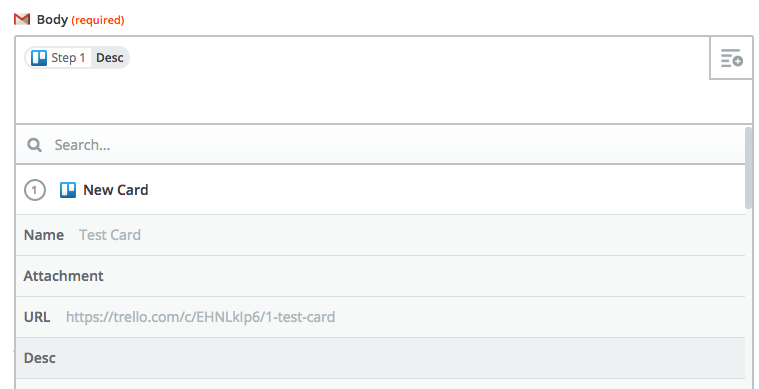 Important: Only the name of the card, the description and attachments fields can be used. Any other features of the card ( like due-dates, tags, checklists or members) will be ignored. When your request is ready to be submitted, simply drag and dropthe card from your Inbox list to your Request Submitted list. This will trigger the Zap we created above and you'll soon receive an email confirmation from Design Pickle. How fast you receive your confirmation depends on your Zapier plan. Paid Zapier plans trigger faster than free accounts. From here the regular Design Pickle process takes over. You'll soon be emailed your design files and as with any request, the files may be perfect or they might need a revision. All edits and feedback are handled via email, but you can easily track the status of your requests with your handy-dandy Trello board. 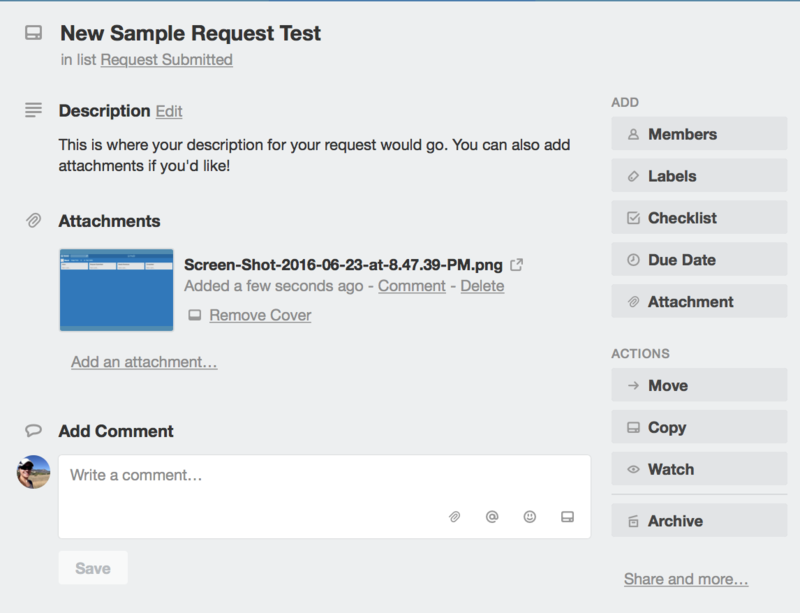 If a request comes back complete, and requires no revisions, move the request card to the Complete list. If a request needs revisions, move the request card to the Revisions Needed list. This will keep everything organized in a simple manner to know where your requests are. Best of luck setting this up! 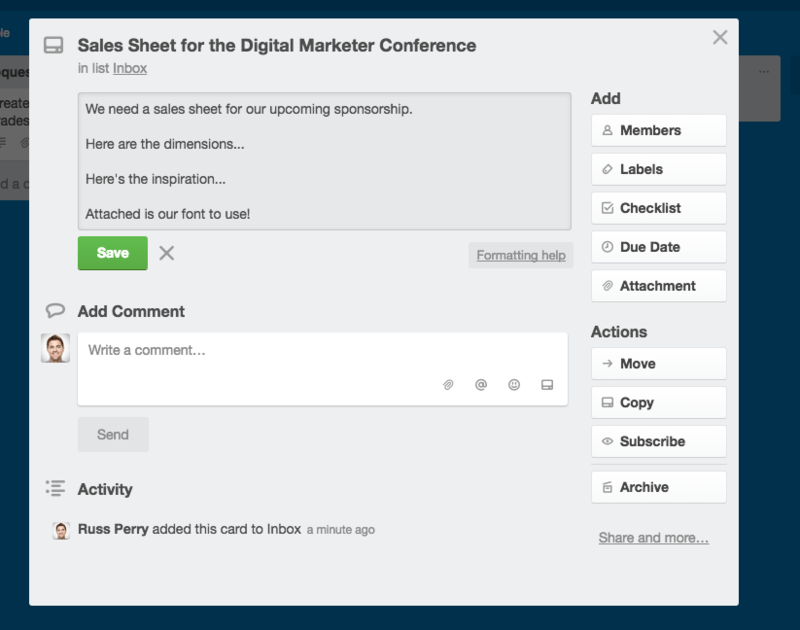 We've been using a Trello board internally for sometime and it's been a great addition to our own creative workflow. If you have any issues or questions getting this setup, just contact us and we'll help in any way possible.